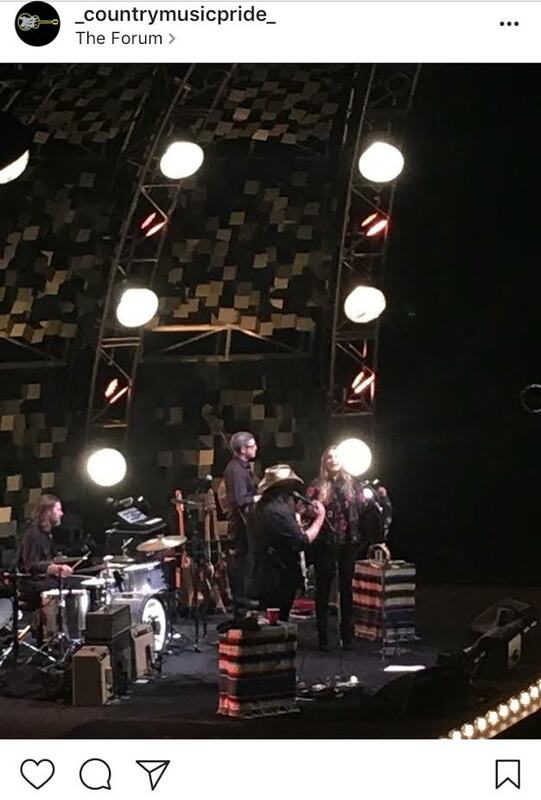 Chris Stapleton brought some much needed “Outlaw Country” to the Forum in Inglewood, California Saturday night (May 20th). The bearded wonder took the stage and opened up with “Might As Well Get Stoned” followed buy hit after continuous hit for his fans who were in for one of the best concerts we’ve ever seen by far. Stapleton joked with the crowd before going into “Midnight Train To Memphis”…a song from his previous band, The SteelDrivers…commenting from the reaction to the crowd, there must be a little hillbilly in Los Angeles. In a slew of songs mixing the old and new about having a really bad day to having a broken heart he gave his audience the bluesy country rock anthems such as “Broken Halos”, “Outlaw State Of Mind”, “Death Row” and “When The Stars Come Out”. Stapleton commented during “Fire Away” as everyone in the Forum was singing along…and he must have liked it because he made us sing along with him one more time. Like the great George freakin’ Strait the man just stands there and sings…and that is all he needs to do. His voice is enough in itself…adding that to his wife Morgan, his band and a cool persona even those who are not country music fans can relate to just works for him. Referring to his hit single “Devil Named Music”…bringing his own magic to the Forum Saturday night. Every song was very poetically and intricately delivered with so much ease…a true natural at his craft. Stapleton is out on tour in support of “From a Room: Volume One,” the follow up album to his double-platinum “Traveller” that effortlessly lives up to the promise of what’s come before…leaving us waiting for what is to come on Volume Two. 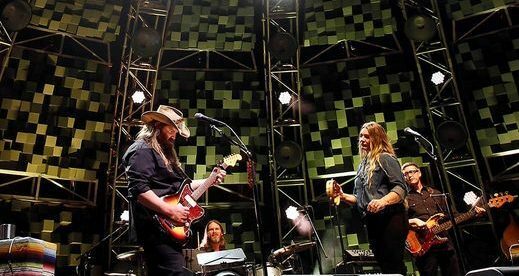 Taking on the road with him Lucie Silvas and Brother’s Osborne proved to be perfect choices for Stapleton as his opening acts…bringing Southern Country swagger to Southern California…which is exactly what we needed this weekend…to listen to some ‘real’ country music. every place has their own music style. Nowadays, music is life for everyone. I always wanted to be a good singer.